The pioneer of the deep trance sound, the legendary Markus Schulz considers Alter Future vs. Holbrook & SkyKeeper as his favorite newcomers amongst others for 2013. When those four great talents combine their creative resources for an EP on Saturate Audio, the anticipation rise high amongst the followers of that particular trance subgenre. 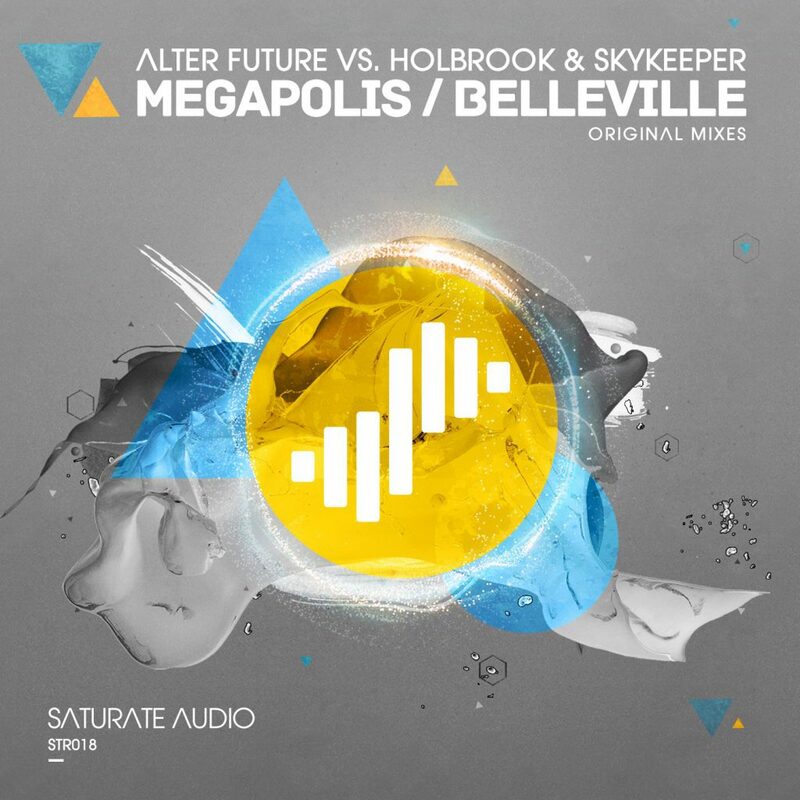 Alter Future from Ukraine, Holbrook from Ukraine and Skykeeper from Russia present on Saturate Audio their magnificent trance beauties Megapolis & Belleville. First is the superb Megapolis that is a dark gothic trancer with some really sweet melodies on top and heavenly style female voices too. The breakdown is the moment that the hidden electro infused dark synthy riff is introduced to bring mayhem, screams and shouts and excitement too. The techy beat and the dark and driving bassline return for the massive hands in the air climax along with that distinctive and well thought synthy lead. Belleville on the other side is the more tougher and dark of the two tracks. Techy beats, aggressive energetic driving basslines, cinematic atmosphere and little blissful electronic melodies are working perfectly together to produce a hypnotic dreamy feel to the clubber who will dance along to it with the physical eyes closed and the eyes of the soul open. Without huge euphoric synths and flashy trendy effects and sounds Belleville is the perfect excuse to leave the world behind you and let your heartbeat follow the super strong rhythm. Alter Future vs. Holbrook & SkyKeeper provide two must have tracks for the deep dark trance followers.